Elementary students will have a Christmas shopping experience right in their school this year thanks to the High School Student Council. The High School Student Council will have gift items for sale to the elementary students on Wednesday, December 20. The Student Council is asking for donations so that the elementary students can have lots of gift options for their mom, dad, brother, sister, or anyone else on their shipping lists. The gifts will be very affordable, costing only $2.00 each. The price also includes Christmas wrapping. 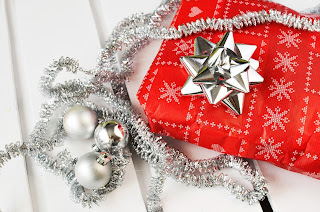 When a gift is purchased, Blackville School's elves will make sure the gifts are all wrapped and ready to go so that they can be opened on Christmas morning. 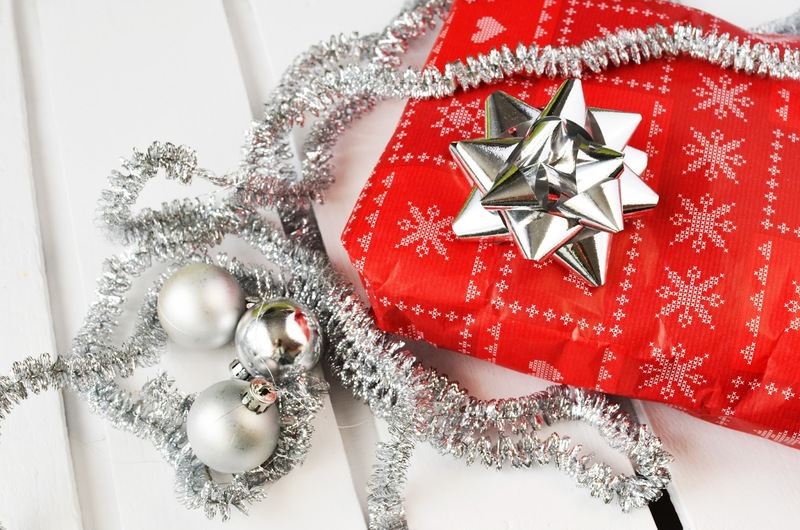 Elementary teacher Tammy Manderville said, "It is such a great idea because kids don't always get to go somewhere to buy something for mom or dad, so this gives them the chance to get a gift or two for someone. It is a wonderful idea." The Blackville School 2018 Graduates are organizing a variety show on Tuesday, December 5 as a fundraiser for Safe Grad 2018. Students from kindergarten to grade 12, along with the school band and elementary choir, and other locals, will be showcasing their talents. The show will be held in the school gymnasium and will begin at 6:30. It is a $5.00 admission for adults, and a $3.00 admission for students. There will also be a bake sale with lots of sweets. Don't miss out on all of the talent Blackville has to offer, and come support the 2018 Grad Class. The Senior Boys Basketball Team had a very busy weekend in the Cambridge Narrows tip-off tournament. The boys also traveled to JMH Monday night to face off against the JMH JV team in an exhibition tilt. The boys came out strong against a very skilled Bellisle Bears squad to begin the tournament. The boys had a big 15 point lead heading into the fourth quarter, but foul trouble would come back to haunt them. Three Eagles starters fouled out in the final 5 minutes of the game, but the boys refused to give up. Daniel Richard made a big shot in the final minute of the game to tie it. Dan Macvicar made two extremely clutch foul shots to keep the boys in the game, but they came up just short losing a tough one 77-72. Leading the way for the Eagles was Daniel Richard with his first 40 point game of the season. The other baskets were scored by Jesse Frenette with 22, Jacob Mercer with 5, Calvin Keenan with 3 and Daniel Macvicar with 2 points. Player of the game for the Eagles was Daniel Richard. In the second game of the tournament, the boys looked to turn their fortunes around and pick up a much-needed win to keep their finals hopes alive. The boys ran into some more bad luck early in the second quarter of this game as starter Calvin Keenan went down with an injured ankle and was forced to miss the remainder of the game. The boys battled hard, but lost a close battle to the host Cambridge Narrows by a score of 65-53. Leading the way scoring for the Eagles was Jesse Frenette with 24 points, Daniel Richard with 18 points, Jacob Mercer with 10 points and Calvin Keenan with 1 point. Jacob Mercer won player of the game honours in this one. In the boys final game of the tournament, they came out determined to finish with a win under their belts. The boys were able to pick up a big win against Chipman. The boys had little trouble in this game downing Chipman by a score of 61-46. Leading the way for the Eagles was Jesse Frenette with 32 points, Daniel Richard with 23, and Jacob Mercer with 6. Player of the game for the Eagles was Jesse Frenette. After this tough weekend, the boys headed to JMH Monday again with a short-handed squad. The boys had no trouble in this one picking up a convincing 74-54 win against a very small JMH JV squad. The Eagles fell behind early but battled back fast to take the lead and never look back. Leading the way for the Eagles was Jesse Frenette with 34 points and his first 20 rebound game of the season. Other points were scored by Daniel Richard with 27, Noah Donovan with 6, Jacob Mercer with 5 and Calvin Keenan with 2. Senior Rookie Noah Donovan scored his first 6 points of the season. The boys had a scare in the fourth quarter of this one when grade 8 rookie Spencer Mullin took an asthma attack. The boys are all glad that Spencer is okay. The boys are back in action Sunday when they head to Dalhousie for their first league game of the season. Best of luck, boys. The Senior Girls Basketball Team had a very good weekend in the Cambridge Narrows tournament. The girls went undefeated in the round robin but came up just short in the finals. The girls were able to pull out a very big win in their first game of the tournament against an extremely strong Bellisle Bears squad. The game had to be shut down in the second quarter because of some technical difficulties with the scoreboard, but eventually, they got it working and finished the game. This game was back and forth until the very end. Our girls pulled ahead and held on. The girls won this game by a score of 55-50. Player of the game in this one was Olivia Buggie. In the girls' second game of the tournament, they picked up a Friday night win against Chipman. The girls did not have much trouble at all in this one winning a big game and clinching their spot in the finals. The girls downed Chipman 72-25. Player of the game for the Eagles was Abby Donovan. In the girls' final round robin game of the tournament, they downed the host Cambridge Narrows by a score of 62-32. This game solidified their undefeated record during the tournament. Tori Sullivan was the player of the game. In the girls battled hard in the final but could not break through the Bears tough zone defense. The girls fell to Bellisle by a score of 48-28. Tori Sullivan won player of the game for the second time. The girls point scorers were lost deep in the archives of this tournament. 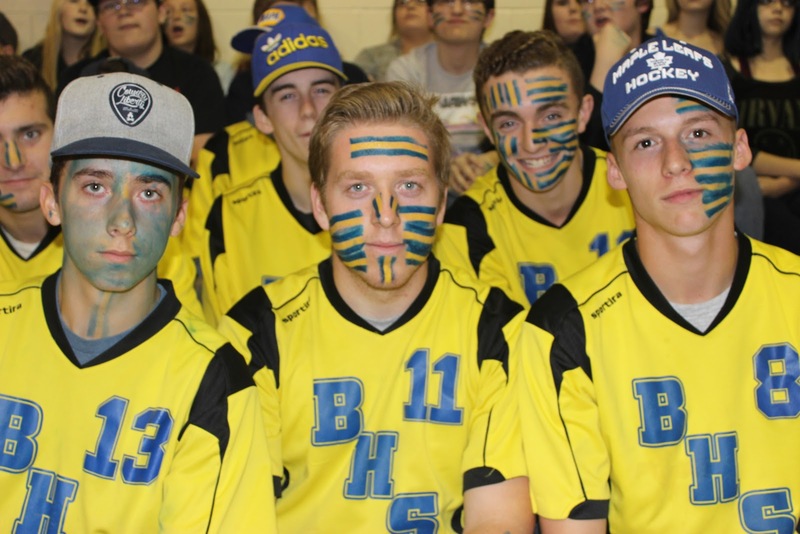 The Senior Boys Hockey Team hosted the Hartland Huskies for their home-opener. The boys put on a good show for the fans, coming out strong with a 11-3 win. Aaron Walls showed fantastic efforts, leading the way with 4 goals and 5 assists. Avery Brennan followed behind with 4 goals. Drake Donovan had a pair of goals. Devon Underhill had 1 goal and 1 assist. Denver Donovan had 3 assists on the night. Peyton Gillespie had an excellent passing night, assisting 5 goals. Carson Grattan had one assist. Devon Underhill's goal was the game winner of the night. The boys had a 5 goal first period, a 4 goal second period and finished off the game with a 2 goal third period. The boys' great efforts granted them another 2 points in the league. The boys return to action this weekend in Tobique Valley (TVHS) for a tournament. Good luck, Boys! The Senior Girls Hockey Team travel to Shippigan (EME) this weekend to face a strong Peninsula team. Good luck, Girls! The teacher of the week is Mrs. Lyons. 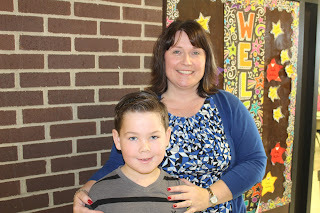 Mrs. Lyons was chosen by Ledger because she is nice and she is his favourite teacher. Her favourite childhood toy was a Rubik's Cube. Her favourite thing about Christmas is decorating the tree with her family while listening to Kenny and Dolly and her favourite subject to teach is math. The student of the week is Taylor Kern. Rhyder was this week's pick for Bucket Filler for his kindergarten class. 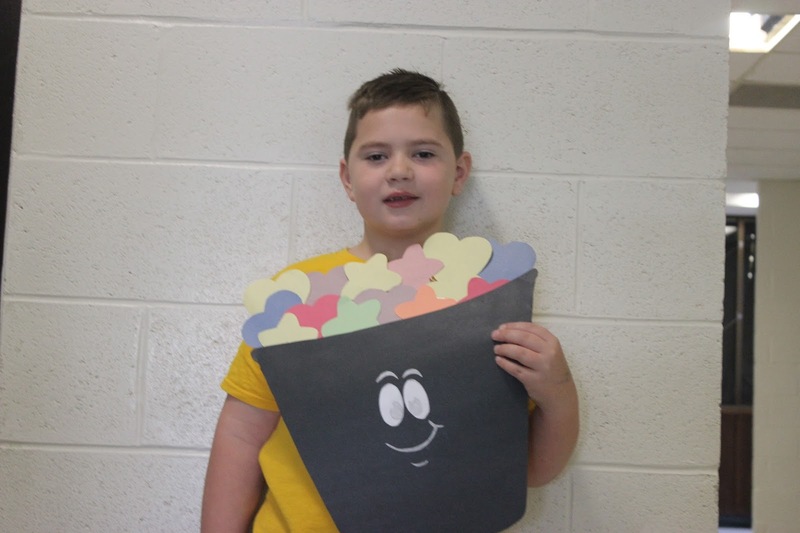 He was chosen because of how kind he is to his other classmates. Miley McCormack was chosen by Mrs. Lyons for Bucket Filler of this week. 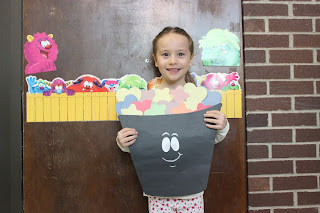 She is a great helper and always has a smile on her face. It was Kalainy Jardine from Mlle. 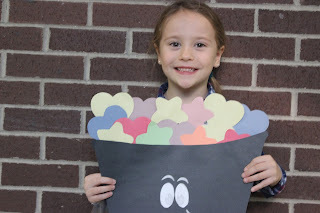 Hachey's grade one class for the Bucket Filler. 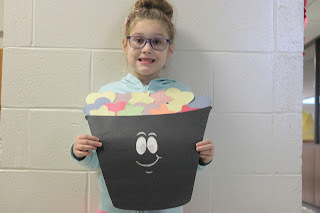 She helps clean up for her friends and is always kindly making sure that everyone is doing what they're supposed to. Karlie Estey was this week's Bucket Filler for Mrs. Manderville's grade two class. 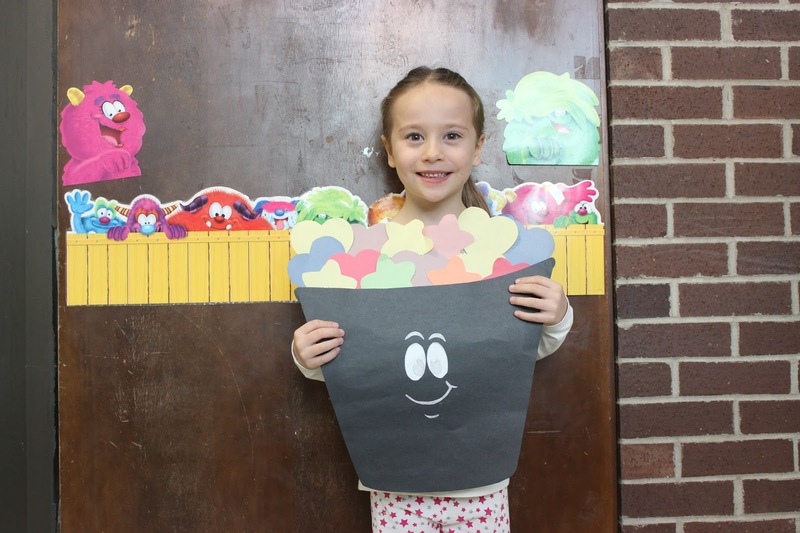 She always offers a helping hand and is very sweet to all of her classmates. Bryce Curtis from Mrs. Sobey's grade two class was chosen as Bucket Filler of the week for November 23. He is always friendly to everyone, and he makes sure to include everyone. The Senior Girls Hockey Team hosted Tracadie (WAL) on Sunday in their home-opener. The girls suffered a 5-2 loss. Jayna Brennan recorded 2 goals for the girls. On Wednesday, the girls travelled to the Lord Beaverbrook Arena to face off against the JMH Tommies. The girls battled hard, falling by a score of 4-3. Leading the way for the Eagles was Erin Moody with 1 goal and 1 assist. Moody went bardown on Tommies netminder Mackenzie Grey. Jaime Vickers scored the second goal, off of a pass from Moody. Abby Donovan scored the third goal of the night, assisted by Kendra Jardine and Emily Peterson. The girls battled hard, against a rough JMH team but came up just short. The Eagles outshot the Tommies but, their netminder Mackenzie Grey played fantastic in net coming up with many big saves for JMH. Hardest worker of the game was awarded to Abby Donovan. The girls return to action against Shippigan (EME) on Saturday, November 25. The Senior Boys Hockey Team had a 3 game weekend on the road to begin their season. The boys had a big weekend picking up their first two points of the season in their league game against NSER. The boys won two out of their three games in their first weekend of the season. On Friday, the boys travelled to Hartland (HCS) for their first game of the season. They faced off against the Huskies in exhibition play. Our boys came out flying, beating the Huskies 5-2. Leading the way for the Eagles was Aaron Walls with 2 goals and 1 assist. Preston Gillespie scored the first goal of the pre season off of a feed from Hudson Underhill. Avery Brennan scored off of a pass from Peyton Gillespie and Ethan Whalen. Aaron Walls scored his second of the night on a pass from Garett Donahue. Avery Brennan closed the scoring for the night off of a pass from Peyton Gillespie and Aaron Walls with 21 seconds to go in the third. The Eagles held onto their lead in a scoreless third period to come home with the 5-2 win. Jesse Fernette picked up the win in net having a stellar game. On Sunday, the boys travelled to Nackawic for their second exhibition game of the season. The boys battled hard in this game but ended up losing a tough game 12-7. Senior Aaron Walls recorded his first hat trick of the year. Walls got the goals rolling, scoring the first blue and gold goal unassisted. Walls lead the way with his 3 goals and 2 assists. Other points were scored by Peyton Gillespie with 2 goals, Avery Brennan with 1 goal and 1 assist, Garret Donohue with 1 goal, and Carson Grattan and Devon Underhill with 1 assist each. Monday night the boys travelled to NSER for their first league game of the young season. The boys downed NSER by a score of 11-3. Leading the way for our Eagles was Avery Brennan with 5 goals and Preston Gillespie with 1 goal and 4 assist. Other points were scored by Peyton Gillepsie with 2 goals and 1 assist, Aaron Walls with 1 goal and 2 assists. Garett Donahue added 1 goal. Drake Donovan, Maguire Gillespie, Alex Jardine, and Hudson Underhill all recorded 1 assist on the night. Jesse Frenette picked up another win in net with another very strong performance. 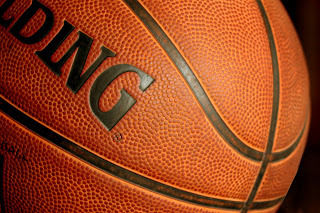 The Senior Boys Basketball Team played their first exhibition game of the season Wednesday night at home. The boys picked up a win in a close game against a very much improved NSER squad. Leading the way for the Eagles was Senior Daniel Richard scoring 31 points along with Senior Jesse Fernette's 28. Other points were scored by Jacob Mercer with 4 and Rookie Macauley Gillespie with 2. The boys return to action this weekend when they head to Cambridge Narrows for their annual tip-off tournament. The Senior Girls Basketball Team have yet to play a game, but have been practicing hard like always. They will play their first exhibition games of the season this weekend in Cambridge Narrows along with the boys. The high school student of the week is Mikayla MacDonald. 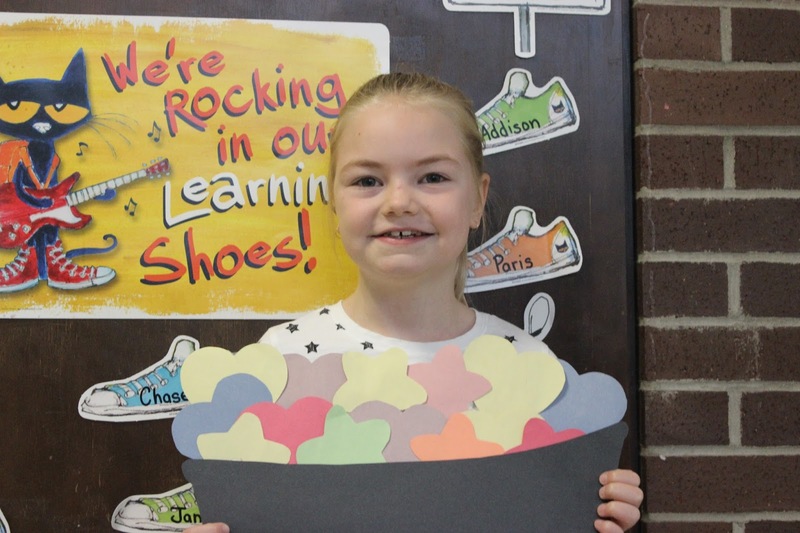 Mikayla was chosen by Mrs. T. Moody because she is quiet and a very hard worker. Mikayla's favourite song is Lithium by Nirvana. Her favorite color is purple, and her favorite show is Stranger Things. The teacher of the week is Mrs. C. Underhill. 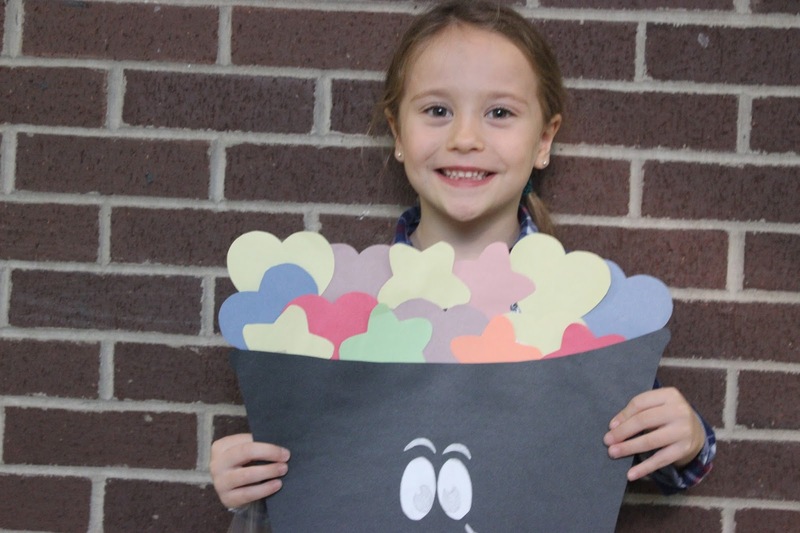 She was chosen by Mackenzie Stewart because she is nice. Mrs. C. Underhill's favourite Christmas tradition is going to her Grammy Underhill's because she gets to see all her family. Her favourite color is navy blue, and her favourite season is summer. 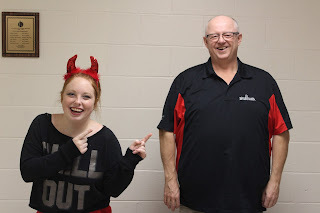 The staff member of the week is Diana Hallihan. Diana was chosen by Jules Keenan because she is a hard worker. Diana's favorite Christmas tradition is decorating her Christmas tree while watching Christmas movies. Her favorite season is summer, and her favorite color is red. Blackville High School is happy to announce that we will be hosting an art party on Thursday, November 23 in the cafeteria. All ages are welcome to attend. Come out for a night of fun and laughs, as the trained artists of East Coast Art Party teach us how to paint an adorable little snowman. All those interested can reserve their tickets here, but don't wait too long! Only 60 tickets are available, at $39.95 plus tax. As this is a fundraiser for the grad class of 2018, $15 from every ticket sold will be put towards the costs of senior year. Everyone's grad year is expensive, so why not fund raise and have fun at the same time? 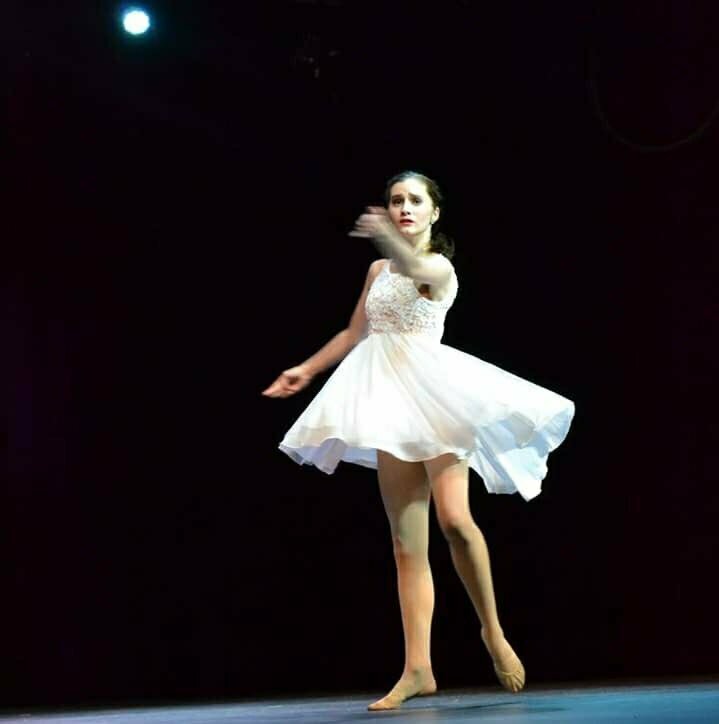 Abby Keenan participated in Dance Quest 2017 on November 2 to November 5. Keenan had 11 routines and three of those were solos. When asked what her favourite routine was, Abby said, "I don't really have a favourite, but I really enjoyed my three solos." Abby received many awards at the competition. She was awarded with 6 gold, 2 bronze, and 3 silver. Keenan received a medal for every routine she was in. Along with her many, many medals, Abby also received three scholarships, which were never before all given to the same person. She made history that day. The first scholarship Keenan received was a scholarship to New York. She would get the opportunity to take classes with Broadway teachers and choreographers and train with the Rockettes. She will also be there to ring in the New Year. 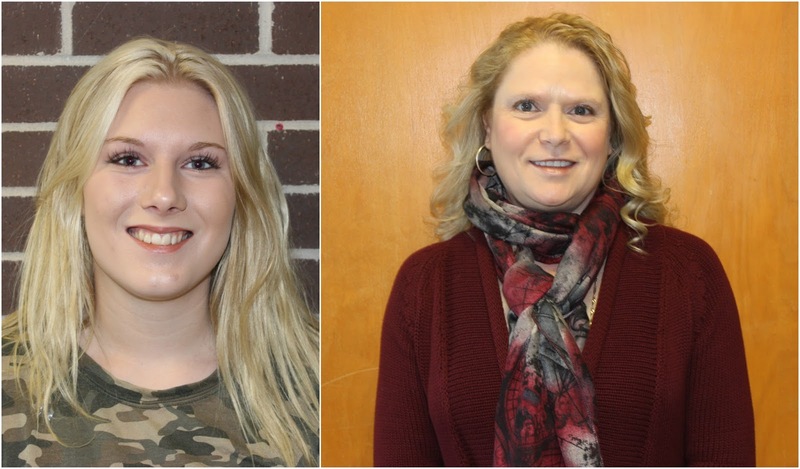 The second scholarship that Abby was awarded was a spot on a dance team that will be travelling to the Dominican Republic to compete in the summer of 2019. 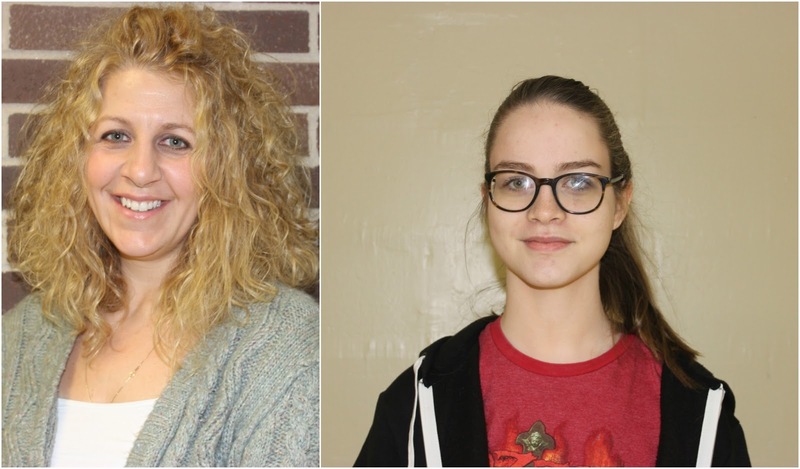 The third scholarship she received was a guaranteed spot on Canada's National Dance team, who will be travelling to Spain in the summer of 2019. With this team, Keenan will be competing in what is known as the Olympics of Dance. Both teams that Abby received a spot on are travelling at the same time, so unfortunately she does not get to do both. She decided to accept the scholarship that guarantees her a spot on Canada's National Team. Abby said she was "very surprised" to receive all three recognitions. "It was overwhelming and I could not believe it because nobody has ever won all three before," she said. She mentioned that before the competition, one of the judges reached out to her and another BHS student, Anna Sturgeon, to talk about opportunities. Abby informed us that it was only her 2nd year on the competitive team. She said, "I just kind of started it and kept going. I've been dancing at home since I was really young." Social media helped to inspire Abby to pursue dancing. "I always saw stuff on social media, like famous dancers and really talented dancers. I just decided that I wanted to be good like that, so I kept working at it." The Blackville School community is very proud of Abby and all of her accomplishments. The Senior Boys Athlete of the Month for October is Aaron Walls. Walls played a big role on the powerhouse season that our Senior Boys Soccer Team had. He was awarded Athlete of the Month because of his stellar soccer performance coming down to the crunch. Coach Mr. Buggie was very pleased with his efforts as he was able to play through the pressure of elimination. He scored 2 big goals in the boys Regionals against ESA and MFR. Walls has shown great efforts and skill throughout the season. He believes that the team had a fantastic season, but just came up short of their worth at Provincials. He believes that it's unfortunate that they didn't get another Provincial banner, but hockey season is fast approaching and could open more doors for our boys. Senior Girls Athlete of the Month for October is K.C Hallihan. Hallihan was awarded Athlete of the Month because of her amazing efforts in net for the Senior Girls Soccer team this season. "K.C has been unreal in the net for the girls, never letting in an easy goal," coach Matthew Sturgeon said. She is a brick wall, recording many shutouts throughout the season. Hallihan has showed an abundance of skill in the net, always coming up big for our girls; especially during important games. 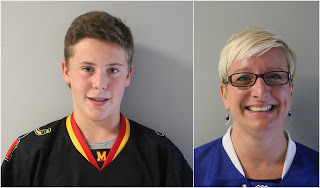 Middle School Boys Athletes of the Month for October are Hudson Underhill and Owen Underhill. The boys were awarded this award for their involvement in Middle School soccer. Hudson always played hard and scored often. He also showed exceptionally strong skills in being a team leader. Owen has also been chosen because of his great efforts in net during the jamboree and throughout the season. He helped keep the boys in every game until the very end with his goaltending. The boys had a very strong season and came up just short at the jamboree losing 2-0 against a very strong Nelson team; the team that went on to win the banner. Hudson believes he had a good last year of Middle School soccer and he is excited for his rookie campaign in High School next season. He hopes the boys will have what it takes to win it next year. Owen said he would've liked to see the boys go a bit further, taking a tough loss at the end of the season. He wishes the best of luck to the middle school team next year. Middle School Girls Athlete of the Month for October is Amber Walls. Walls played on the Middle School Girls Soccer team. She was awarded this because of her tough defence in soccer. She played hard every game and never gave up on a play. Walls shows true leadership skills on and off of the field. The Senior Boys Soccer team travelled to Tobique Valley for their final soccer game of the season. They took on the Rothesay Netherwood Riverhawks in the Provincial Semi-Final. The winner of the elimination game moved on to the Provincial Final. Our boys played a hard 70 minutes of soccer but, came up just short of the win. They fell 3-1 to RNS in a tough game. The boys stayed focused and left it all out on the field. Denver Donovan had the lone goal for the Eagles. Unfortunately, our boys were unable to capitalize on anymore of their shots on net. An enormous congratulations goes out to the Senior Boys on their stellar season of soccer. The boys had a historic season, going undefeated in regular season play and laced up one of the most talented soccer teams our school has seen in years. Anticipation for next season is running high as the team will come out swinging and will certainly look for a redemption shot again. The Middle School Girls Soccer team travelled to Sunny Corner for their final Jamboree. They took on NSEE in their first game and downed them 2-0. Hailey Singer had both goals for our Eagles while Layla Hallihan recorded yet another shut out in net. They then played against a strong Gretna Green team. The girls suffered a 4-0 loss that ended their season. Congratulations on a great season girls! 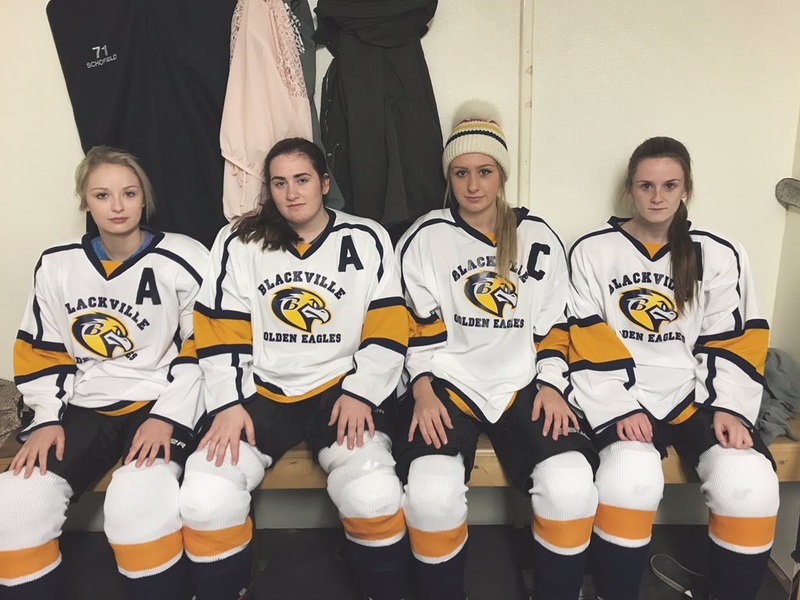 The Senior Girls Hockey team laced up their skates for the first time in Blackville history. In their first game, they took on PRP (Campbellton) on home ice. They did not disappoint, downing the Predateurs 11-3. Points for the night are as followed: Erin Moody had 7 points, Jaime Vickers with 5 points, Jayna Brennan with 4 points, Amber Walls and K.C. Hallihan with 3 points each, Abby Donovan and Hayley Underhill with 2 points each, and Olivia Buggie, Marlee Schofield and Kensen Brennan with 1 point each. The girls return to action on Sunday, November 12 in their Home-Opener of the regular season as they take on WAL (Tracadie). The girls are hoping for a huge hometown crowd for their game of the regular season. Don't forget to come out and support you Eagles. 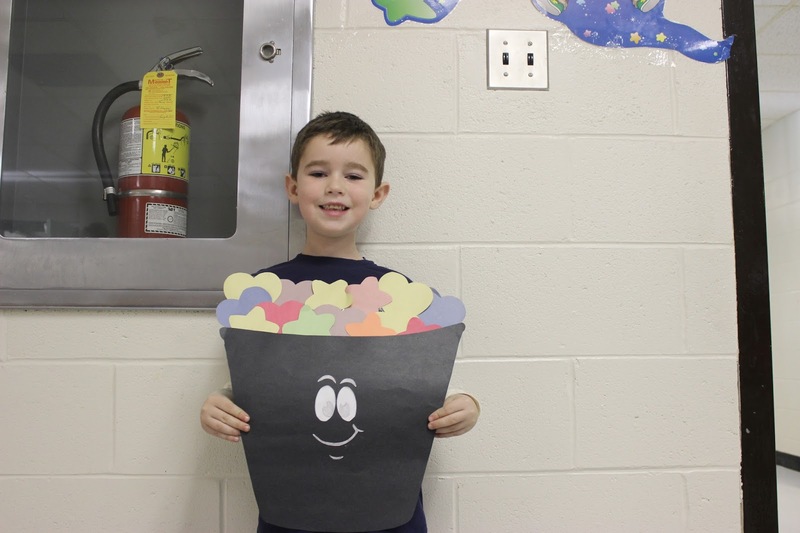 Louis Fogan was the Bucket Filler for his kindergarten class, way to go Louis! 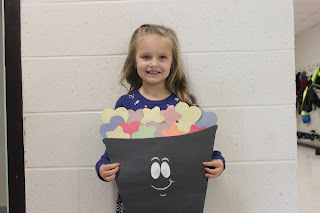 Miley McCormack got bucket filler for her K/1 class for being kind and helping out! 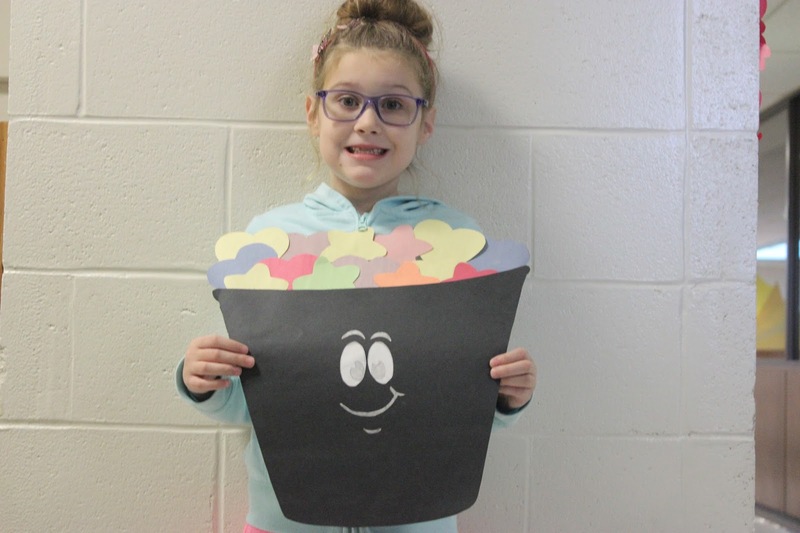 Chey Anne Donahue was awarded bucket filler of the week for Mrs. Sobeys grade 2 class. 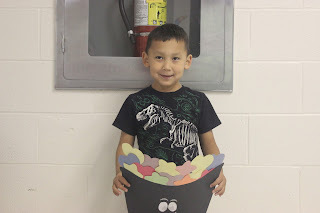 Brock Sobey got bucket filler of the week for Mrs. Hache's grade 1 class for helping the teacher and being kind to all the other students. 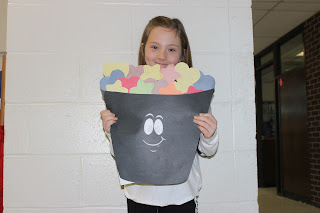 Gracelynn Brennan is the bucket filler of the week for Mrs. Manderville's grade 2/3 class for being so caring and nice! 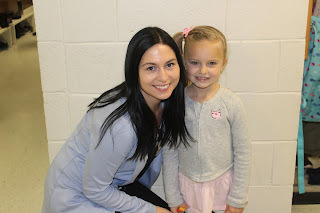 This week's teacher is Mlle Mindi. Mlle Mindi was chosen by Kalainy Jardine because she's very nice. 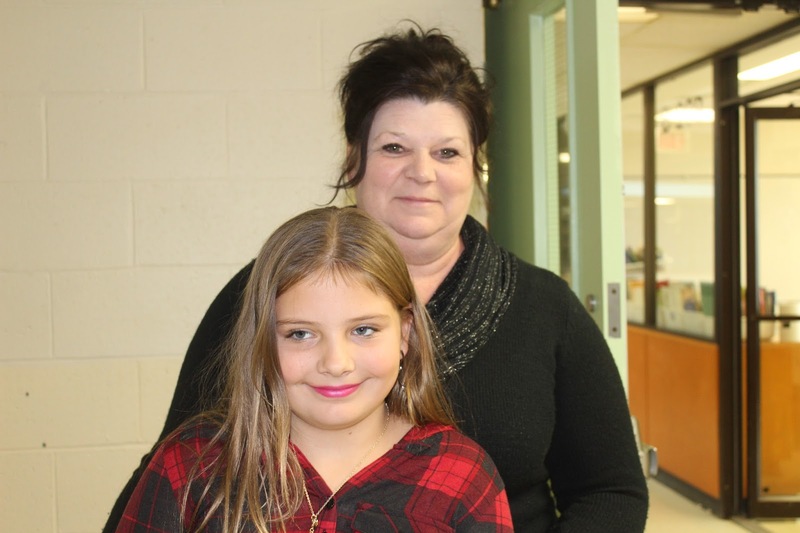 When interviewing Mlle Mindi, she said her favourite childhood activity is camping, her favourite Christmas tradition is family gatherings and the first school she taught at was Blackville School. This week's staff member is Sonya Jardine. Sonya was chosen by Madison Vickers because she is really nice. When interviewing Sonya, she said that her favourite childhood activity was playing in her playhouse, her favourite Christmas tradition is getting together with family, and her favourite season is summer. The student of the week is Riley Mullin chosen by Mrs.T. Manderville. 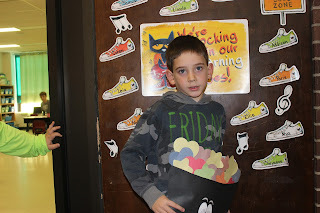 Mrs. Manderville chose Riley because he is a hard worker and kind to everyone in the class. 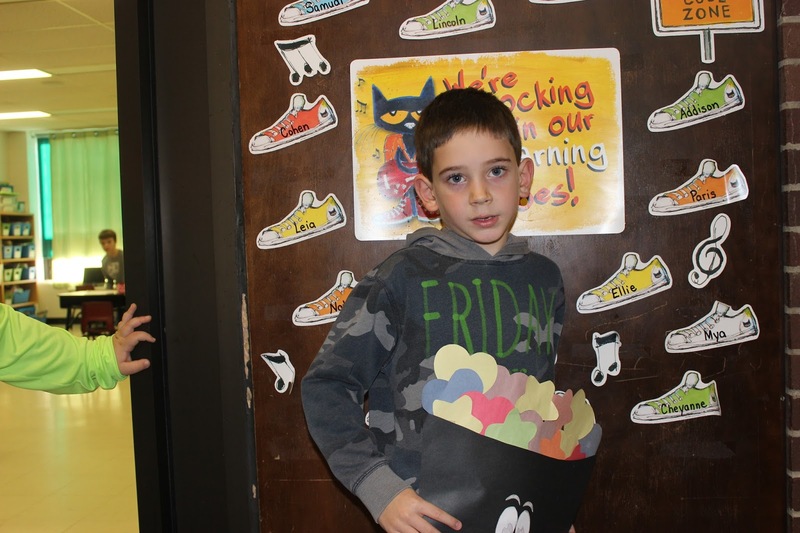 When interviewing Riley, he said his favourite colour was black, his favourite thing to do is play hockey, and his favourite class is Mrs. Manderville's class. The Eagles made history yet again on Sunday, November 5. The first ever Blackville School Senior Girls Hockey team hit the ice at the Tom Donovan Arena in Renous. They players took on the Polyvalente Roland-Pepin Predateurs (PRP - Campbellton) in an exhibition game. Our girls came out firing and ready to go, wanting to put on a good show for the hometown crowd. As per usual, the Eagles did not disappoint. A well rounded BHS team showed up and downed PRP 11-3. Erin Moody lead the way with 4 goals and 3 assists. Jayna Brennan followed behind her with 3 goals and 1 assist; Jaime Vickers had 1 goal and 4 assists; Amber Walls had 1 goal and 2 assists; Abby Donovan had 1 goal and 1 assist; Olivia Buggie had 1 goal while K.C. Hallihan picked up 3 assist; Hayley Underhill picked up 2 assists and Marlee Schofield and Kensen Brennan each had one assist. Helena Arbeau gained her first ever win in net. Senior Amber Walls scored the historic first ever goal for the team. Walls scored on a nice shot on net late in her shift, during the last few minutes of the first period; Abby Donovan and K.C. Hallihan were awarded the assists on the goal. Sophmore Jayna Brennan followed right behind Walls, scoring less than a minute later, Jaime Vickers and Erin Moody with the assists. A fast paced second period set the tone for the remainder of the game. Senior Erin Moody scored 2 quick goals off of the face-off, 20 seconds apart; the 2nd goal being the game winning goal. Hayley Underhill and Marlee Schofield were awarded the assists. Jayna Brennan followed in Moody's footsteps, scoring 2 quick goals, each just one minute apart. K.C. Hallihan was awarded the assist on Brennan's 2nd of the night, while Moody and Vickers assisted Brennan's 3rd goal. PRP came back scoring 2 goals before the 2nd period was over. Moody immediately answered back, sniping a beautiful goal with less than 4 minutes to go in the 2nd period. 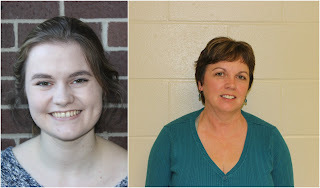 Jaime Vickers and Jayna Brennan assisted on Moody's great efforts. The girls headed to the dressing room with a 7-2 lead after 2 periods of play. The show was not yet over for our Eagles; Jaime Vickers scored a goal off of a pass from Moody; Olivia Buggie scored off of a feed from K.C. Hallihan; Abby Donovan's shot passed the Predateurs net-minder with assists from Amber Walls and Hayley Underhill. Erin Moody ended the scoring with 21 seconds left in the 3rd, sniping a beauty of a goal from inside the slot on a great pass from Jaime Vickers and Kensen Brennan. Helena Arbeau's fantastic efforts in net helped the Eagles with the Sunday night win. The Senior Girls return to action for their Home-Opener of the regular season on Sunday November 12, at 2:30 at the Tom Donovan Arena against WAL (Tracadie). Come out and catch some great hockey action. Our Blackville Senior Boys are heading to Provincials on Saturday, November 4 in Tobique Valley. The Eagles face off against Rothesay Netherwood School. The pace is set for a game that will showcase an abundance of talent. The Provincial games separate the teams who have the ability to win from the teams who leave it all out on the field digging deep down inside of them to find the drive to come up clutch. The Blackville Community is hoping that our Eagles will come home with no regrets, playing their hearts out on that field. No matter the outcome of this weekend, the community is extremely proud of the Boys' historic season and all that they have achieved. We caught up with the four Senior players, to find out their thoughts on going into the most important soccer game of the season. "I think it's great to be heading to Provincials in my grad year. I am going to try and snipe a couple genos this weekend. We definitely have the ability to win; it's whether we want to or not." "It's pretty good to be heading to Provincials in my grade 12 year. I hope we have a successful weekend and bring home the banner; that's all I've got to say #ForTheBoys." "We are finally where we've wanted to get to all season. After losing in the Provincial semis last year, we were all determined to get back and win it this year. We still have two games between us and another banner, but we are so close we can taste it. I am eager to try and win my second soccer banner, after winning the first one you're even hungrier for another. Going to Provincials this season means that the other seniors and I are heading back for our fourth straight season. I know we have what it takes to win if we play our game, now only the games will tell." "Heading to provincials again this year is a great honour for me; being able to say we consistently remained a top 4 team for my high school career is something I hoped for and worked towards. This years team feels like a championship team and I have high hopes going into provincials. The team is more than capable of going all the way this year, and I know for sure if we play our game and work hard we will get the results we hope for." Congratulations to our Senior Boys on a fantastic season, showcasing the most heart our school has seen in years. The community of Blackville is supporting our Eagles all the way. Play your heart out, boys; 70 Minutes for the rest of their lives. 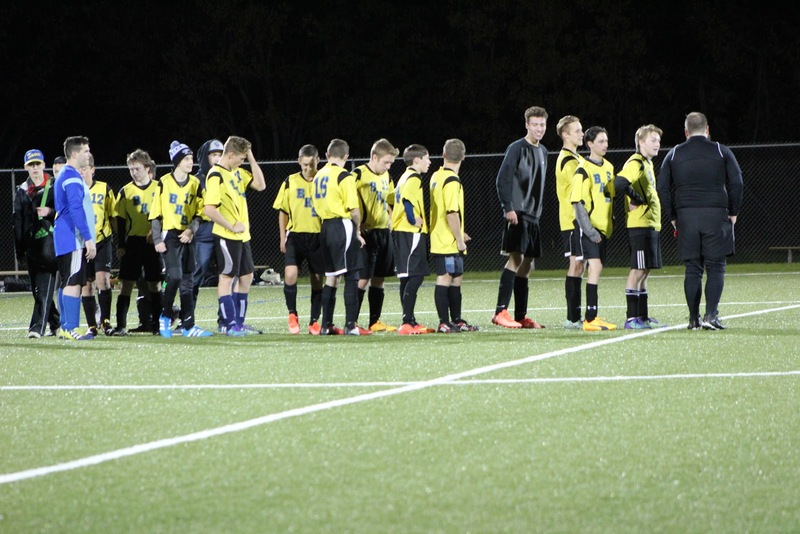 On Saturday October 28, the Senior Boys soccer team faced the possibility of elimination at their Northeast Regionals. Resilience was shown by the Eagles throughout the game. The players rose to the occasion and came home with two strong wins. 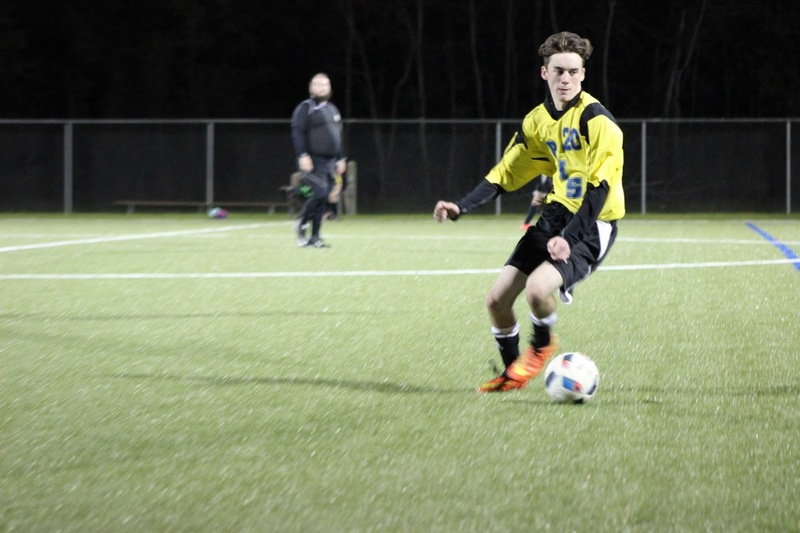 The Senior Boys soccer team will be heading to Provincials this coming weekend. The Senior Boys started the day off playing their do or die game against Rogersville on their home field. The boys came out strong battling hard all game. Aaron Walls scored the first and only goal early in the second half to give the boys a 1-0 lead. This was all the boys needed as Keeper Jacob Mercer played an amazing game in net picking up the shutout and helping the boys advance to Provincials. The boys played their second game of the day against a very strong Marcel-Francois-Richard squad, out of Saint-Louis-de-Kent. This game was not a do or die game, but was still very important for the boys as it would determine whether they were going into Provincials with the 1st or 2nd seed in the North Eastern conference. The boys came out strong putting the pressure on the opposing squad. Aaron Walls scored a great goal off of a corner kick to give the boys the 1-0 lead. The boys picked up another one off of a long free-kick from Denver Donovan to increase the lead to 2-0 before the half. MFR came out very aggressive in the second half taking it very hard at our boys. They scored a quick goal to cut the lead to 2-1. Keeper Jacob Mercer continued his dominance in net doing the splits for a huge save, as well as making a huge diving save, jumping on the ball just before it could cross the line. Denver Donovan then scored on a huge penalty kick to give the boys some breathing room with a 3-1 lead. M.F.R would score one more to make it 3-2, but that's as close it would get as Mercer shut the door in goal. The boys picked up the 3-2 win and celebrated on their home field in front of a huge hometown crowd. The boys are heading into Provincials next weekend with the 1st seed in the North Eastern Conference, and an abundance of hometown support. Unlike the boys, the girls were not as lucky at their Regionals. They fought a long and hard battle against Petitcodiac, which was tied at 1-1 for the majority of the game. Erin Moody had the blue and gold goal, scoring on a penalty shot, after being tripped inside of the 18-yard box. After two 10 minute overtimes, there was still no winner, so the game was forced to a shoot out. Moody shot first for the Eagles and believed that her goal crossed the line, while their was controversy between the referees with her goal. After the girls fourth shooter missed, they were lead to believe that they lost the game. As they walked onto the field with sad faces, they were informed that their first kicker, Erin Moody, had scored. The team was ecstatic to find out that it was not yet over. Andrea Lynch was the 6th shooter for the girls and she made no mistake, having her shot find the back of the net. Keeper, K.C Hallihan, the brick wall that she is, came up huge in the net, saving the final shot. The Eagles had won. The celebration was cut short when the referee came over to inform us that Moody's goal had in fact not crossed the line, therefore, Petitcodiac was given the win. Coaches Matthew Sturgeon and Tyson Donovan were livid and they filed an official report to protest the game. The girls left the field with heavy hearts, however, were called the next day and told the great news. NBIAA over looked the game and granted BHS with the win, as the referees originally called Moody's goal in. 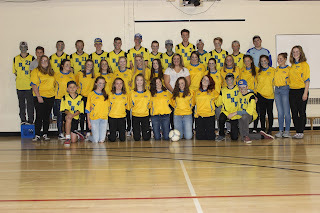 Both senior girls and senior boys soccer teams were making history, as they were both heading to provincials. 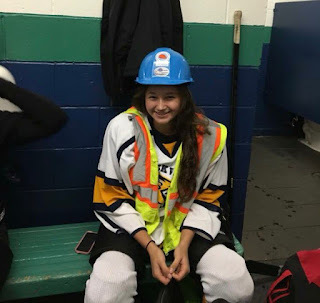 On Tuesday, October 31, Coach Matthew Sturgeon was forced to tell the girls that Petitcodiac filed another protest, which was again looked at by the NBIAA board, and they won their protest. BHS senior girls soccer were, once again, no longer going to Provincials. This was the final verdict. The entire team was crushed, especially the seniors as they had realized they would never get to wear the jersey again. The girls had felt like they were on a never ending ride. Their season ended on the most unfortunate note that no one could have ever predicted. Congratulations to our Senior Girls on the best female soccer season in Blackville history. The girls will always know in their hearts that they are the true winners of their Regional Final. Danika Hallihan with her mother, Colleen, at Home Hardware. Grade nine students participated in "Take your Kid to Work Day" on Wednesday, November 1. On this day, students are required to visit their parents' workplace or an area of employment that interests them. Kylie Sturgeon (L) and Hayden Jardine (R) working at Renous Automotive. William Schofield with his mother, Elaine Schofield. 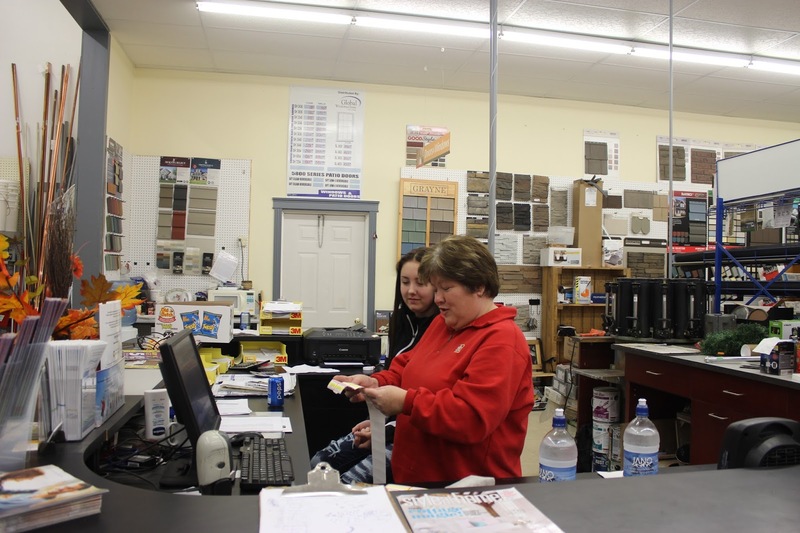 Danika Hallihan spent the day at Home Hardware, a local business, learning many useful skills for the job, such as mixing paint. 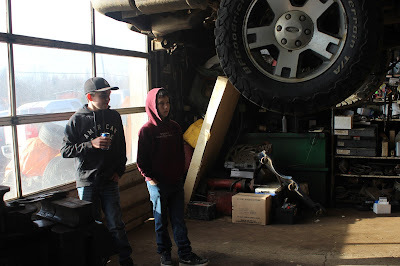 Hayden Jardine and Kylie Sturgeon worked alongside each other at 'Renous Automotive.' 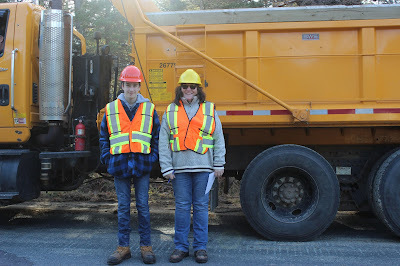 William Schofield spent the day with his mother working as a highway supervisor for the department of transportation and infrastructure. 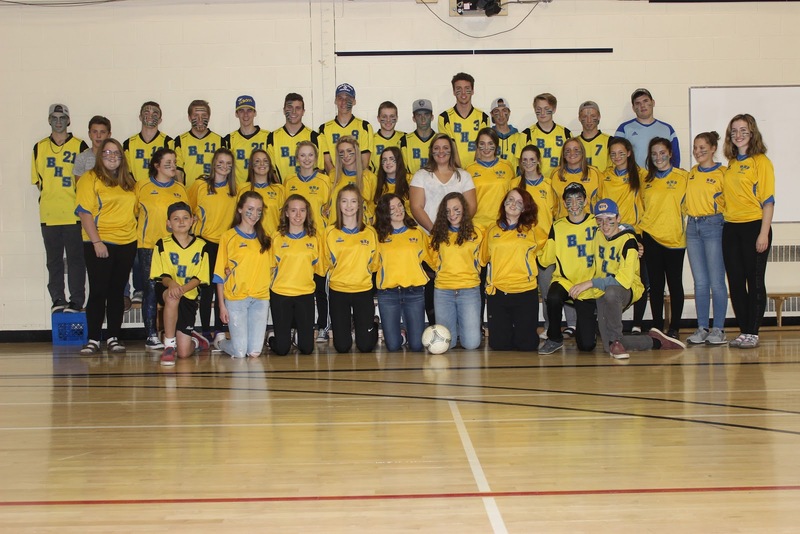 Blackville School's Leadership 120 class held a 5 km community walk on Sunday, October 29. Students, teachers, and community members gathered at the Blackville Municipal Park at 2:00 pm ready to go. Leadership students, Tiffany Tucker, Megan Peterson, Delanie Coughlan, and Amber Furlong, were all there to get all walkers registered and to hand out complementary water bottles to all the participants. There were 40 walkers and the class raised $400. Leadership teacher, Matthew Sturgeon, said, "It was very well attended and the class was very glad to see the community participate." Congratulations went out to all all the age division winners: Madeline McKinnon, Emma McKinnon, Emily Connors, Melissa Underhill and Lori Brophy. Bruce Waugh won the draw for the Fitbit Charge. Mr. Sturgeon was very pleased with the walk and very proud of the class' effort. It has been well over ten years since Blackville School has hosted a community walk by the Leadership 120 class. It is hoped that the walk will remain an annual event. The Student of the Week is Caleb Gillespie, and he was chosen by Mrs. J. Underhill. Mrs. Underhill chose Caleb because he broke his arm, and he tries really hard to get things done even with his broken arm. When interviewing Caleb, he said his favourite holiday was Christmas and his favourite thing to do is play hockey. He was even a hockey player for Halloween. 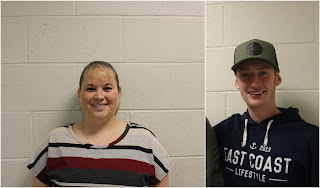 The Teacher of the Week is Mrs. M. O'Keefe, chosen by Alex Jardine. 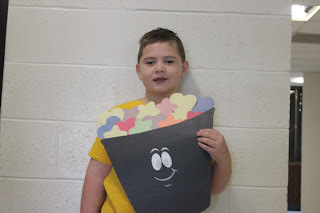 Alex chose Mrs. O'Keefe because she is a real good teacher. When interviewing Mrs. O'Keefe, she said her favourite Holiday was Christmas, and her favourite thing to do is spend time with her family. For Halloween she was a MVHS teacher. 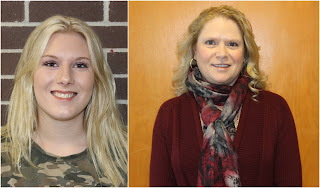 The Staff of the Week is Kim Brennan, chosen by Danaya Campbell. Danaya chose Kim because he's nice. When interviewing Kim, he said his favourite thing to do was play his guitar, and his favourite Holiday is Halloween. For Halloween he was Freddy Kruger.